Hampton Creek may have used dodgy methods to boost sales of its eggless mayonnaise. Now most of the Silicon Valley startup’s directors have quit after they clashed with the co-founder and CEO. It’s a last resort, but boards at Theranos and Uber, for example, might have tried it. 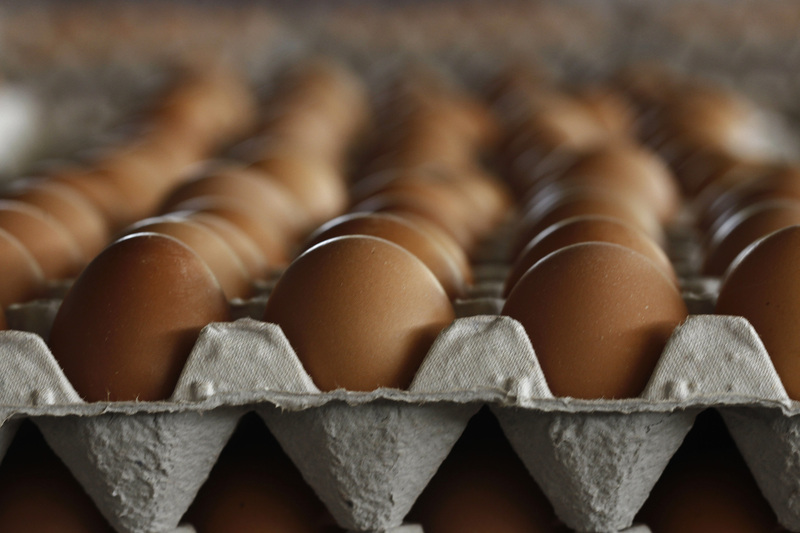 A view of eggs packed in cartons is seen at a poultry farm in San Marcos de Tarrazu 50 km (31 miles) of San Jose, September 28, 2012. Mayonnaise startup Hampton Creek has lost at least five directors from its board, according to a July 17 Bloomberg report. The last remaining director is Josh Tetrick, the co-founder and chief executive. The recent departures include former U.S. Health and Human Services Secretary Kathleen Sebelius and Khosla Ventures partner Samir Kaul. The board members left over “deep discord” with Tetrick, according to Bloomberg. The San Francisco-based company, which produces eggless mayonnaise, has been embroiled in controversy, which has included employees buying its own product in stores to boost sales. A federal inquiry into the matter concluded without finding wrongdoing, according to Bloomberg.